I mentioned it in my previous post on Fall in Toronto, but I love Fall and especially Halloween. Living in the High Park/Roncesvalles area, Halloween is not just a night - it's an EVENT. People go all out with some of the most amazing and creative displays, ranging from radioactive band playing on the porch of a house, to a house being full-on transformed into a giant menacing face! Suffice it to say, HP/Ronces looooooove Halloween too! 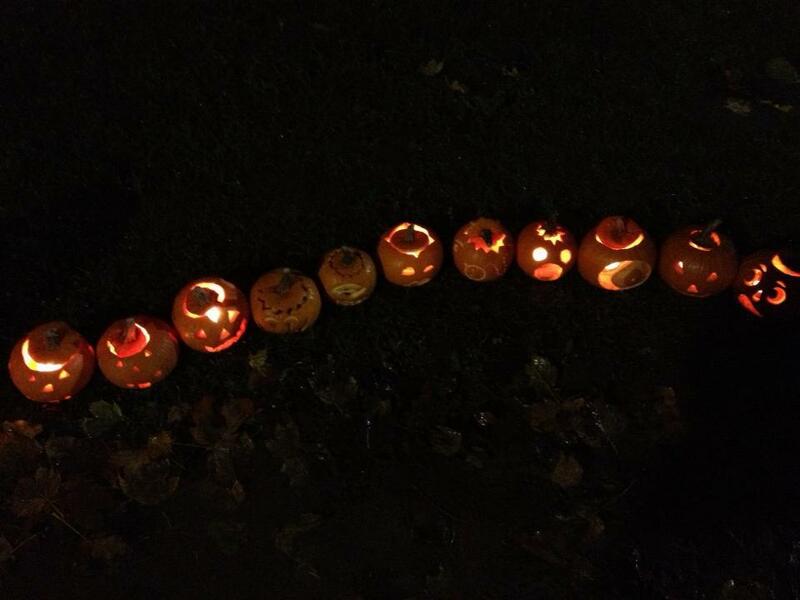 One of the best parts of Halloween in this neighbourhood is the Sorauren Pumpkin Parade. The day after Halloween, everyone brings their no-longer-required Jack O'Lanterns to Sorauren Park for one last hurrah - the pumpkin parade! The first time I heard of it I legitimately thought it was a literal parade of pumpkins (I still kinda wish it was, but you can't have everything) but what it is is equally magical - several walking paths lined with lit pumpkins of all shapes and sizes! Sure, you've got your average pumpkin carvings, but you also are treated to so many new and wonderful takes on pumpkins that you can't help but want to slowly meander through the park for way long than you expected to! Rows on rows on rows! Probably my favourite pumpkin display EVER! This lovely display is courtesy of my neighbours who have the best pumpkin display of all time. I don't know how they do it but it's the most damn delightful display and it always finds it's way to the pumpkin parade (so I get to see it leading up to Halloween and then one last hurrah). Make sure it's dark, make sure you dress warm, but MAKE SURE YOU GO!